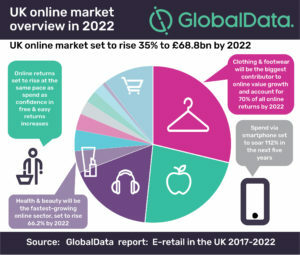 The UK E-retail market is forecast to rise 35% over the next five years reaching £68.8 billion by 2022, according to GlobalData, a recognized leader in providing business information and analytics. The company’s latest report: ‘E-retail in the UK 2017-2022’ reveals that although clothing & footwear will be the biggest contributor to growth, sectors that have traditionally experienced low online penetration such as health & beauty and furniture & floorcoverings, will rise significantly during the same period shopping via smartphone will continue to be consumers’ channel of choice as mobile spend rises 112% over the next five years. This trend will be driven by improvements in retailers’ own mobile functionality together with the prominence of a ‘see now, buy now’, instant gratification consumer m entality. In the last 12 months 78% of the UK population have shopped online the prime drivers being convenience and the lure of lower prices. Despite low online penetration in 2017, the health & beauty sector is forecast to experience the highest growth in the next five years with sales set to rise by 66.2%. 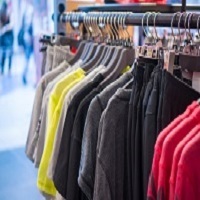 Online returns are forecast to grow at practically the same rate as online spend over the next five years with clothing & footwear dominating the channel, accounting for 70% of all online returns by 2022.